Summer 2017 is shaping up to be an exciting one- the 90’s flare are back with cut shoulders and lots of ruffles and lace. We’ve move from natural glow and glossy make up (and so much glitter!) to something a little more bold for summer 2017. The beauty trends are moving even further back to the Technicolor raves of the 1980s (90s raves are so last decade apparently!) We look at the top beauty and make up trends for 2017, keep on reading to get inspired! Like the french manicure, the smokey eye is a classic that every beauty lover likes to fall back on, but for summer 2017 it’s all about the smudged look. 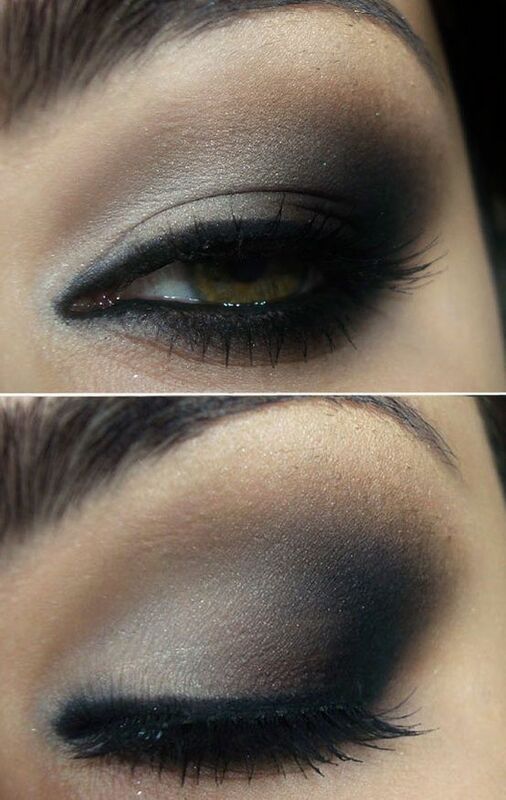 It’s a slight grunge feel on the classic smokey look, it makes you think of late nights and early mornings at the clubs. It’s pretty easy to achieve this look by blending out your eyeliner with either your finger or a make up sponge. Pair this with messy crimped hair or slicked back top knot. A black leather jacket and choker create the perfect rebellious look. The no make-up look is still hot on trend, especially with the biggest celebrities going bare. Your skin is like a canvas for make up, so you need to make it the best canvas possible. Looking after your skin needs a good diet, the right kind of skincare products. You can take the no make up however you want, from a light dabbing of concealer to a dusting of powder, but keep the contouring to a minimum and let your natural beauty shine through. Who doesn’t love the neon lights of the 1980s? We love the fresh take on the neon scene with neon eye shadow drawn in a bold line across the eyelids and even a dash of bright colour on the eyebrows. A side parting is very flattering on all hair types, so why not embrace this new summer trend by smoothing your hair aside? This look is ideal for those with a swept fringe and as an up do. Sweep it aside and secure in place with a strong hair tie and some gel or spray to keep fly-aways down. This could also suit a messy bun or even plaited aside with some sleek or chunky plaits. It’s not too unusual to try using liptsick for make up (we’ve all seen the amazing results beauty vloggers achieve with just a pallet of lipsticks for a full face of make up.) and this is now a big fashion for summer. Many of the runways saw the models wearing soft blushes of lipstick. Mix up a couple of shades to get a dewy look to suit your complexion perfectly.